Wallpaper has opened up a new world of decorating possibilities for veteran nutshellers. One of my favorites is this classic Schumacher pattern in a cozy-chic fawn color. The design transformed this shrunken loft bedroom. 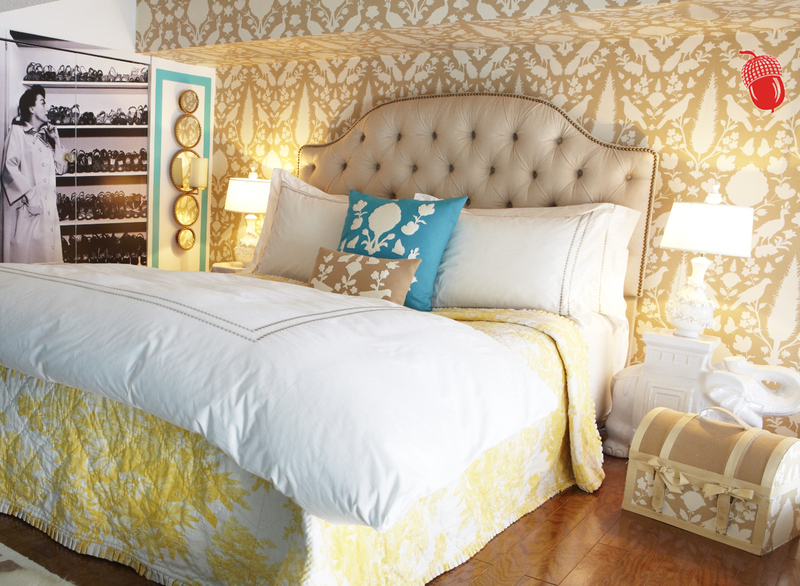 If you can only afford to cover one wall in your space, this wallpaper is worth the investment. If you are NUTS FOR THIS, find it here.